Climatesense-norpag: The State of the Climate Wars June 2013. The Science and The Politics. The State of the Climate Wars June 2013. The Science and The Politics. "This parrot is no more! He has ceased to be! .......... ... THIS IS AN EX-PARROT!!….." ﻿This Monte Python quote (TOH Jimbo)﻿ accurately describes the current state of the CAGW paradigm based on the IPCC- Met Office climate models. It also describes the status of the modelling approach in general as a means of investigating climate change. 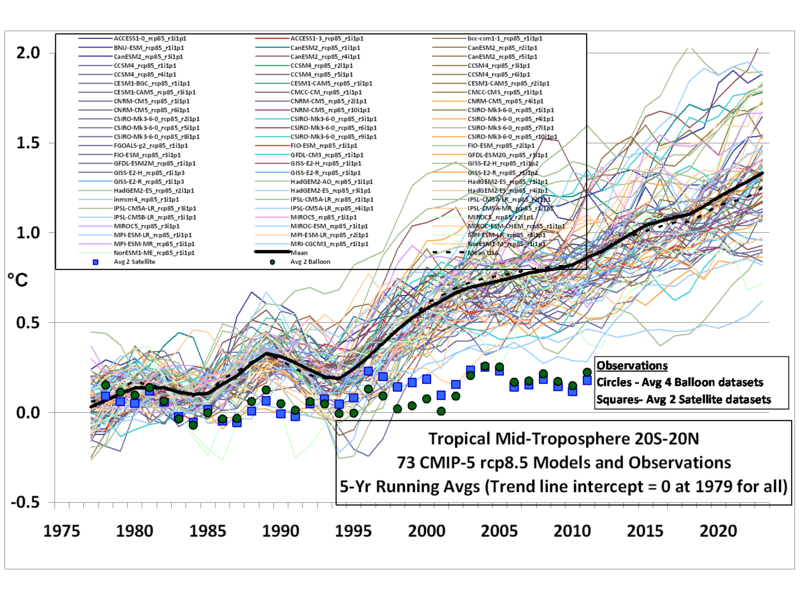 Fig 1 is but one illustration among an ever increasing number, of the growing discrepancy between model outputs and reality.This disconnect has been acknowledged by the establishment science community which is now busy suggesting various epicycle like theories as to where the "missing" heat went.Some say its in the oceans (Trenberth) some say its due to Chinese aerosols (Hansen) but the all main actors still persist in the view that it will appear Lazarus like at some unspecified future time.This is like the Jehovah's witnesses recalculating the end of the world each time a specified doomsday passes. to the point of recently holding a meeting of 25 "experts" to try to figure out where they went wrong. The answer is simple.Their climate models are incorrectly structured because they are based on three irrational and false assumptions. First that CO2 is the main climate driver ,second that in calculating climate sensitivity the GHE due to water vapour should be added to that of CO2 as a feed back effect and third that the GHE of water vapour is always positive.As to the last point the feedbacks cannot be positive otherwise we wouldn't be here to talk about it . This quoted statement was necessarily ignored by the editors (censors) who produced the AR4 Summary for Policymakers. Here predictions of disaster were illegitimately given “with high confidence.” in complete contradiction to several sections of the WG1 science section where uncertainties and error bars were discussed. Almost all the worlds politicians, media and eco-activist organisations uncritically accepted and used these predictions as infallible guides to the futrure and acted on these delusions of certainty which are now, six years later ,seen to be just that -delusions. In summary the projections of the IPCC - Met office models and all the impact studies which derive from them really have no useful place in any serious discussion of future climate trends and represent an enormous waste of time and money. 2.How To Do Climate Science - Look for Recurring Patterns and Periodicities in the Temperature and Possible Climate Driver Record. When,about ten years ago ,I began to look into the CAGW - CO2 based scare, some simple observations presented themselves. d) Temperatures vary more wildly in deserts and hot humid days are more uncomfortable than dry hot days - humidity (enthalpy) might be an important factor. e) Being a Geologist I knew that the various Milankovic cycles were seen repeatedly in the Geologic record and were the main climate drivers controlling the Quaternary Ice Ages. I concluded ,as might any person of reasonable common sense and average intelligence given these simple observations that the sun was the main climate driver . More specific temperature drivers were the number of hours of sunshine,the amount of cloud cover,the humidity and the height of the sun in the sky at midday. It seemed that the present day was likely not much or very little outside the range of climate variability for the last 2000 years and that no government action or policy was required or would be useful with regard to anthropogenic CO2 driven climate change. These conclusions based on about 15 minutes of anyone's time are much nearer the truth and certainly much more useful as a Guide to Policymakers than the output of the millions of man hours of time and effort that have been spent on IPCC - Met Office models. The IPCC,academic and governmental climate science industry obviously needed to do more than simply inform the governments of the common sense conclusions seen above in order to keep the grant money flowing and professional opportunities expanding.Certainly the scope ,mechanics, and drivers of climate change are topics of very considerable legitimate scientific interest in their own right but funding would be limited unless catastrophe was forecast. In some cases simple inspection of the temperature data is sufficient to detect useful periodicities. 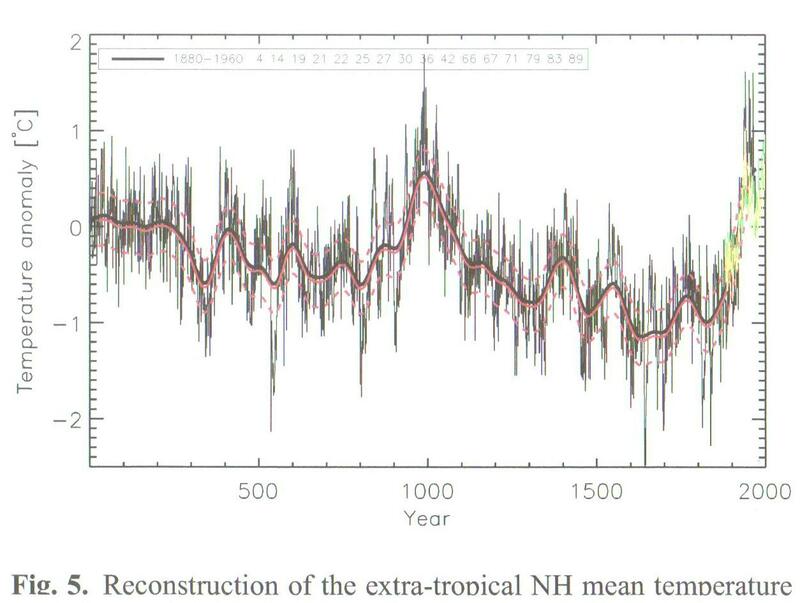 Furthermore it is clear that the cosmic ray intensity time series is the best proxy for "solar activity "and that this correlates meaningfully with temperature with perhaps a 10- 12 year lag. Having some passing acquantance with the various temperature time series literature I would suggest that the currently most useful compilation for thinking about the record of the last 2000 years is. 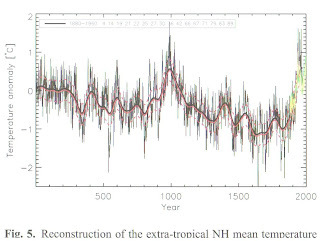 The point of most interest in Fig 3 is the present temperature peak and the MWP peak at 1000 AD which correlate approximately with a solar millenial cycle .The various minima of the Little Ice age and the Dalton minimumof the early 19th century also show up well. It is not a great stretch of the imagination to propose that the 20th century warming peaked in about 2003 and that that peak was a peak in both the 60 year and 1000 year cycles.On the basis that the sequence from 1000- 2000 may be about to repeat - and also referring to the Oulu cosmic ray related neutron count time series the following climate forecasts may be made . Minimum Little Ice Age temperatures could be imminent - with a much more rapid and economically disruptive cooling than that forecast above which may turn out to be a best case scenario. How confident should one be in these above predictions? The pattern method doesn't lend itself easily to statistical measures. 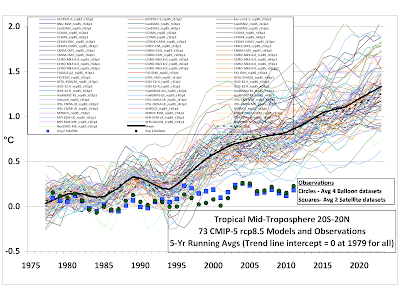 However statistical calculations only provide an apparent rigour for the uninitiated and in relation to the IPCC climate models are entirely misleading because they make no allowance for the structural uncertainties in the model set up.This is where scientific judgement comes in - some people are better at pattern recognition and meaningful correlation than others.A past record of successful forecasting is a useful but not infallible measure. In this case I am reasonably sure - say 65/35 for about 20 years ahead. Beyond that, inevitably ,certainty drops rapidly. For the best exposition of the global politics behind the entire AGW scam I refer readers to Donna Laframboise's excellent book The Delinquent Teenager ...... especially pages 41 and 42.
an objective scientific document.............This is a situation in which political operators (UN bureaucrats) pursuing a political goal (a greenhousegas treaty) have recruited scientists to help them achieve their objective"
Most establishment climate modelling scientists in the UK and USA either through scientific incompetence or because of the opportunity to obtain grants and career advancement (and public honours in the case of the UK) have acted as useful idiots to promote the political ends of the UNFCC. The current state of the poltical climate wars is illuminated by comparing in broad outline the situations in the USA and the UK. Most politician's primary goal is to gain power by gaining elective office and then stay in power by financially rewarding their corporate contributors or influential friends and interest groups who can deliver votes .This creates a congressional or parliamentary - scientific (when government funded )- military- industrial complex,- which creates for all intents and purposes a national- socialist state.The UN would like to establish a similar world governing bureaucracy. By regulating greenhouse gas and thus contolling energy supply and demand governments can essentially take over all economic activity and indeed private property without having to go through a nationalisation process.If this seems far fetched one needs look no further than the provisions of the Waxman - Markey bill in the U.S.to see the extent of the power grab which its authors contemplated. Global Warming was used as a pretext to try to grab control of all economic activity in the country because congress would decide the price of all energy via the distribution of carbon credits to whomever contributes most to their campaign funds. Energy production would be diverted to so called "green " sources which are hopelessly uneconomic unless heavily subsidised.If this bill had passed all private real estate would essentially cease to exist because governemnt climate police would ,in the guise of government trained real estate appraisers, decide the appraisal value of all real estate and thus control the sales price of everyone's home. Any alterations or improvements would have to be approved by government inspectors.A vast bureaucracy would be created to run this virtual totalitarian police state run for the benefit of the congress and whichever corporations or special interests pay them the most. Fortunately, because of the separation of powers in the US constitution this disaster was temporarily averted. However aided by the worst Supreme Court decision in history which effectively transferred total control of the economy to the Executive branch via the EPA, the Obama administration is planning to achieve the Orwellian objectives of the Waxman Markey bill by the piecemeal regulation of GHG emissions using fear of global warming as a tool to carry the public with him. Britain by contrast ,having replaced a powerful king by an equally all powerful prime minister and small cabal of ministers had no constitutional barriers to a power grab by the nomenclatura for the benefit of themselves and their corporate and land owning friends.The GHG scare promoted by the fellow travelling ecoleft press and especially by the BBC propaganda machine enabled successive governments to first, in 2008, pass ,with only four dissenting votes, a climate bill which by law established legal requirments for draconian CO2 emission limits.As I write this, the House of Lords is debating an energy bill ,already approved by the Commons ,by which the government would run the economy with detailed control of energy supply and demand via a Russian Communist style central planning sytem where energy sources and demand and prices are decreed by the Secretary of State and a supposedly all knowing government bureaucracy.The majority of Britains political leadership retains its impenetratable ignorance of the significance of the fact that there has been no warming since 1997 with CO2 up 8% and retains its unshakeable faith in the delusionary CAGW religion. During the debate the "fact" of CAGW was hardly questioned. The chief discussion was about how to attract investment in inherently uneconomic renewables such as windmills by rigging the market by subsidy and regulation. When this literally lunatic bill is finally passed into law Britain will be firmly set on course for economic disaster. In the U.S.A the battle is about to commence in earnest.In Britain the ongoing collapse of the CAGW delusion amongst the scientists made no difference to the discussion. I see no evidence that either Obama and his hand picked true believers in the CAGW religion or the Democratic Congressional leadership will be any more influenced by the changing science than their British counterparts.With the Supreme Court decision behind them can the EPA be stopped? We'll see. I hope you are not put off too much by my comments on WUWT this morning. I am in the process of reading the above but have to run right now. Will be back later to continue. Your approach and assessment seems quite reasonable in many ways. You make some pertinent observations. I will comment on them later. One, though - Using cosmic rays as an indicator of solar activity is pretty good. The recent work on cosmic rays and clouds is not the only application of cosmic ray data. If they affect clouds in cycles like they do, then the cycles should also be able to indicate solar activity. Maybe not, too. That is what experiments are for - to falsify reasonable hypotheses.